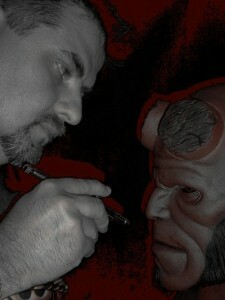 Is a professional sculptor, with 18 years of experience working for the Toy and Collectibles Industries. He is to this day the only American sculptor working for two of the biggest Japanese collectibles companies in the world. His style is dynamic, he can capture any style in the sculpting spectrum, be it American streamline comic book styles, Japanese Anime/Manga, Mechanical characters, beautiful women, creatures and monsters, or portraits. He is currently working hard to master Zbrush ( digital modeling), and his operation is mostly digital these days. He has mastered his craft, and continues to hone his skills every day. Kotobukiya (Designer/sculptor Managing advisor Product Planning and Development), Funko, His Majesty the King of Jordan, Round2 Models, and Yamato Toys, among others. On occasion Erick will take on private commissions, please contact us for availability! 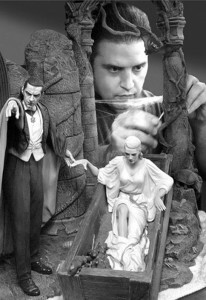 Troy started his sculpting career sculpting custom wedding cake toppers in 2003, up until 2007. 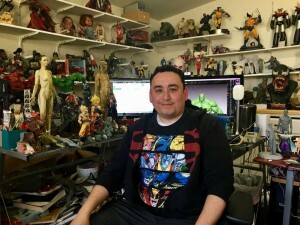 Being a lifelong comic/sci-fi/fantasy nerd, he slowly made the transition from wedding cake toppers, over to superhero and monster sculpts for various garage kit companies and private collectors. Eventually his sculpts caught the attention of some collectible companies, and he began getting commissions with well-known entities such as Bowen Designs, Sideshow Collectibles, XM Studios, ARH Studios, ReelArt Studios, Super7, etc..
After doing commissions for misc. companies, GK producers and private collectors, his focus has once again shifted to that of creator-owned properties (along with his business partner/best friend), which they have been working on for several years, and will begin debuting later this year. Troy’s other passion moving forward is teaching new, up-and-coming sculptors the tips, tricks and techniques that were shared with him when he first started off. And that brings us to this class. It doesn’t matter if you’ve done fifty sculpts, or zero, this class will have something to offer everyone. At the start of the class, Troy will go over some of the basics of getting started on a sculpt, before giving the attendees the concept they’ll be working on (to be revealed during the class). Once that’s been announced, everyone will get started, and the remainder of the class will be both a demonstration of misc. tips and techniques, and walking the room, so that he can assist everyone attending with any questions or issues they may have throughout the day. You’ll leave with a finished, or semi-finished statue that you’ll be able to take home and paint, or mold and cast so you can make copies to sell, or give away. At JerseyFest this year, Troy will be the instructor for the all day Sculpting class on Friday, September 8th. You can still register for this class and may click here to view all the details. On Saturday and Sunday during the vendor show, he also will be displaying and selling rare model kits and completed “one of a kind” pieces, as well as doing sculpting demonstrations. Click here to see pictures highlighting Troy McDevitts work. 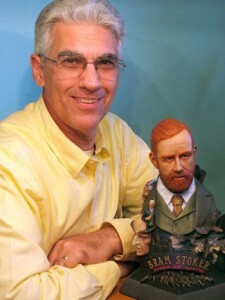 Ed has been collecting statues and model kits since 1998. His interest in painting had faded until he attended his first garage kit convention in 2001. Eventually he started entering contests and winning awards, which pushed his ambitions into doing it professionally. In 2011 he caught his first big break with Bowen Designs and has been nonstop. In 2015 Ed quit his 15 year day job and opened Bradleys Paint Studio in order to pursue his passion full time. 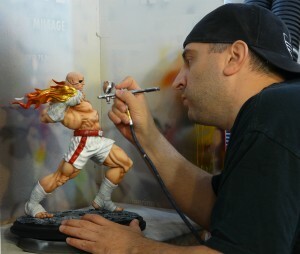 He is currently a prototype painter for companies such as Sideshow, and Diamond Select Toys, Kotobukiya and private collectors worldwide. Saul Alvarez is a professional painter who has been building/painting model kits for over 20 years including hundreds of commissions. In the past, he has written for Amazing Figure Modeler Magazine and Kitbuilders Magazine. Saul also painted life-sized dinosaurs for a company that provided them to museums. 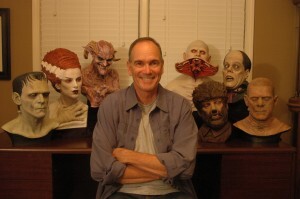 He has conducted numerous demos at hobby shows and won many contest awards at Wonderfest, Chiller, etc., including gold and first place awards. Rick Cantu is a writer for Amazing Figure Modeler Magazine in the US and Game Forces magazine in Spain. He has been painting creatures and monsters for approximately 35 years. Prior to picking up his first airbrush, Rick specialized in painting gaming miniatures and small kits by hand, but once he painted his first 1/6th scale resin kit, he was hooked. 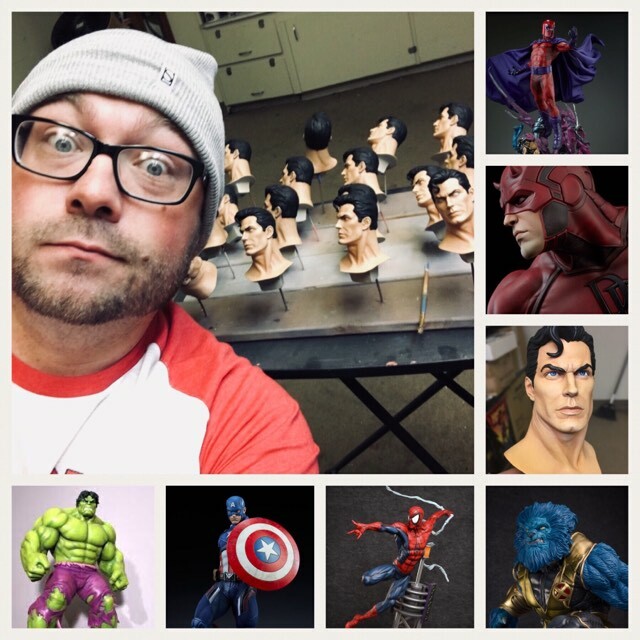 After winning awards for his paint work, Rick was asked to join the staff of Amazing Figure Modeler magazine in 2002, and has been doing painting articles, teaching classes and doing professional commission work for collectors and companies ever since. His artistic philosophy is “Live Long, Laugh Often, Paint Much!” Rick tries to learn something new every time he picks up his brushes and airbrushes. You’re never too old or too good to learn new things. He is always inspired by a great paint job, be it on a motorcycle tank, a car hood, or a 3D creature. Rick recently moved back to San Antonio TX from Maryland with his wife Ruth and Mo the Schnauzer. Click HERE to see pictures highlighting Rick’s work. 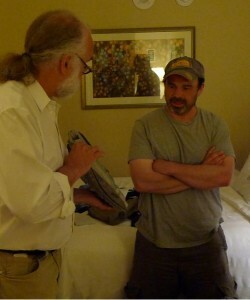 Jim Capone has written for Kitbuilders Magazine and Modeler’s Resource Magazine. He has painted award winning buildups, and is a full-time art teacher. Those who have seen his jaw dropping work know how lucky we are to have him. 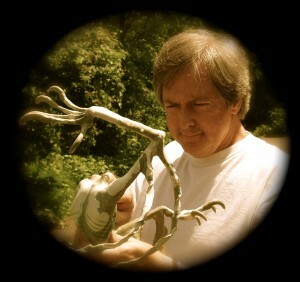 John’s Dennett has been a professional and commercial sculptor for 30 plus years. Beginning in the hobby industry in 1982, he created hundreds of original creatures as miniatures for use in Role Playing Games. Since then, his work has been a part of the gift, collectibles and toy markets, sculpting as well as designing characters from a wealth of different genres. 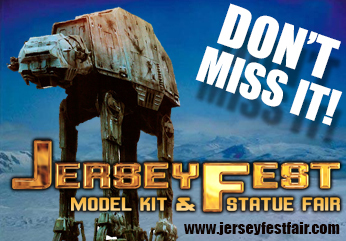 John wil be showcasing and selling his kits at Jerseyfest! 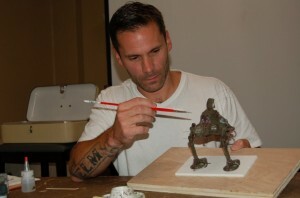 Kevin Derken is a classically trained artist turned model maker and painter. His unique style has been published in Hobby Japan and Model Graphix and has graced the cover of “The Weathering Magazine”. Kevin shows his work at fine art galleries and has won multiple awards at model shows around the world, including winning the “KOW YOKOYAMA AWARD” (Best in Show) at the Maschinen Krieger Showcase 9 in Tokyo, Japan in November of 2013. His blog A1-plastik.com is frequently updated with pictures of his work. Click here to see samples of some of his amazing work. Jason Eaton is an extraordinarily talented model maker and painter who is known across the hobby for his stunning, large scale models that often recreate many of the most memorable space ships, mechs and other vehicles from classic Science Fiction films and T.V such as Star Wars, Battlestar Galactica, Bladerunner, etc. See a blog that showcases many of his beautiful pieces by clicking here. 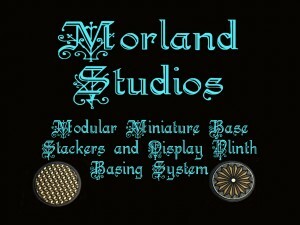 On Saturday and Sunday during the vendor show, Maya and Morland Studios will be displaying and selling their wonderful line-up of miniature figure models. 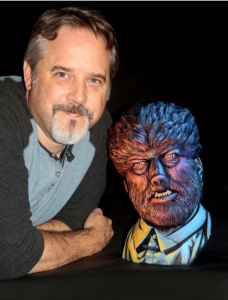 Greg first began painting monster models with Aurora’s Frankenstein and for years built every figure model the company came out with, no matter what the subject. He eventually began taking painting lessons from a local Grand Master. At the time he painted primarily with oil paints on small historical figures and won numerous awards. Greg eventually discovered the Garage Kit world and dropped the historical miniature sector for his love of all things creepy and monstrous. Since then, he has won several model contest awards (including several golds at Wonderfest) and written numerous instructional model painting articles. Click here to see pictures highlighting some of Greg’s work. Steve Neisen is a very well respected creator of some of the very best resin kits in the world. He specializes in large scale, studio accurate models with the focus on famous ships and vehicles from Star Wars and Star Trek. He and his team at Nice-N Model Designs research the actual filming model subjects and replicate them down to the smallest details. At the 2016 show, Steve will be displaying and selling some of his most stunning pieces at JerseyFest as well as doing presentations on model making and painting tips. See a video showing one of Steve’s incredible model creations,”The Klingon Bird of Prey”, by clicking here. Michael Salzo is a hobbyist turned pro model builder, specializing in large and unique Sci-Fi scratchbuilds and kits. He’s a renowned painter, pattern maker, and mold maker/caster in the Garage Kit Industry. He’s also done incredibly elaborate model making work for major US theme parks and collectible companies, specializing in replicas of Sci-Fi filming models. Using mostly traditional model building techniques such as those used in the movie model shops of the 70′s and 80′s (e.g., Industrial Light & Magic Studios, Lucas Arts), Michael has recreated many iconic subjects from those era’s, including but not limited to recreating near exact models of the studio miniatures. 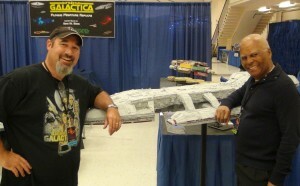 Michael is one of the most renowned vehicle model makers and painters in the garage kit hobby and has created many incredible studio scale models of spaceships from franchises like Star Wars and Battlestar Galactica. He does professional model construction and painting for numerous clients. For the 2016 show, Michael will be the instructor for the all-day class “Painting a Star Wars X-Wing”. See examples of some of his amazing models by clicking here. Sean Sides is a professional model builder well known for his accurate recreations of Sci Fi filming miniatures. 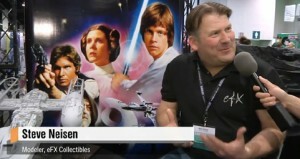 His works include the original Battlestar Galactica and Star Wars filming miniature replicas. This includes large scale models like the 6 foot Galactica, 3 foot Basestar and ½ Scale 66” TOS Enterprise. Through extensive research and references, he meticulously reproduces all the original details, nuances and weathering of filming miniatures. Sean was the principal model maker for a Sci-Fi TV pilot called “Orbital Broadcast One”, collaborating with industry artist Andrew Probert. He has been a guest at numerous conventions including the World Science Fiction Convention, StarFest, Wonderfest, and Galacticon IV. During the 2016 JerseyFest vendor show, Sean will do a presentation on the art of scratch building and tips for building and painting vehicle kits. 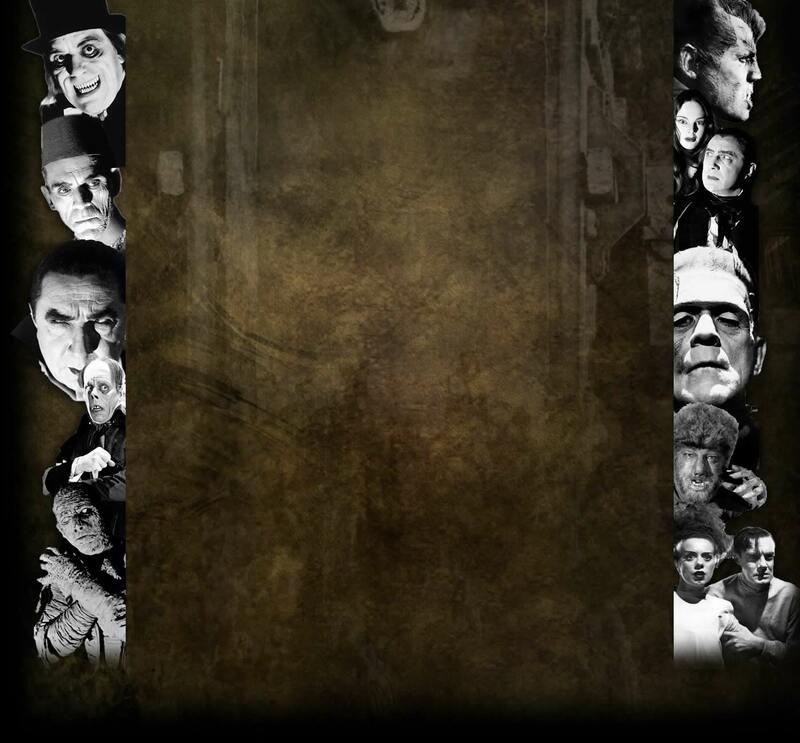 See examples of some of Sean’s amazing work by clicking here.